Well the jury is back and the CRTC Pick and Pay for television providers has turned out to be a total failure. Who would have thought that this would happen. Perhaps this is a sign that the CRTC shouldn’t meddle in the private sector without having a strong plan. Just like they forced mobile service providers to do away with the 3 year plans which failed miserably. What good did this do? Now you pay more for your phone up front and more for your plan every month. I would still use a three year plan if it was available especially if there are savings on the $1000 phone. I like getting the newest gadget but a 3 year upgrade cycle works fine for me if it offsets the cost of the phone or the monthly fee. It seems every time they meddle things get worse. Just wait until they tax our Internet bills. 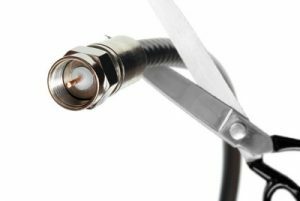 Because there are substantial losses from cable-cutters funding the ‘Canadian Content’ tax included in our television bills – the CRTC is looking at adding a tax to your Internet bills to make up the losses (even if you don’t use your Internet to watch videos). I do like the idea of supporting Canadian content but unfortunately so much of it is so bad and in today’s global economy our content should be able to hold up on its own merits.